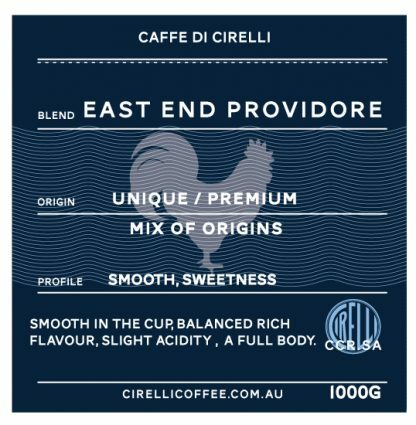 This blend was developed especially for East End Providore in Ebenezer Place in Adelaide. A unique and premium range of origins goes into this coffee. Whether its espresso, drip or plunged coffee, it will leave you with a satisfied and memorable finish. A solid full bodied blend. Smooth, slight acidity, creamy with a sweet lingering after taste.